There are collectors that specifically find classic editions of coins that existed during the period from 1892 to 1954. These coins have marked events or may signify the work of royalty during that period. There are those collectors that prefer the modern series that are very distinct as well. One modern collection is that of the quarter dollars that represent the 50 states of the US. Minting and circulation started in 1999 and continued until 2008. These are specially made editions available for collectors. Many collectible coins are made of copper and a collector may encounter problems in maintaining their features and appearance. A person collecting this type of coin should learn how to maintain and take proper care of these expensive collections. Copper coins should be cleaned correctly and must be preserved the same way professional collectors treat their coins. Professional collectors clean their coins by the process of placing the coins in a container that is airtight. This is a safe way to preserve the features of the coins. Because of the coins’ years of circulation, there is the possibility of a coin accumulating encrustations, coatings, dirt, and other problems on a coin’s face. These accumulations may cause pitting and corrosion to the surface of the copper coin. The corroded portions should be removed properly without making any scratches. There are products available that are made especially for coin cleaning. Coin suppliers have these products that are specifically made for coin maintenance and cleaning in stock. One product made for this purpose is MS70 which removes corrosion and other surface dirt. It is advisable to use rubber gloves for the protection of your hands, as MS70 can dry the skin but this should be of little concern because it is not that harsh on the skin. A soft toothbrush may help with cleaning and removing any dirt that is in the surface of the coin. Improvement in the appearance of the coin will be seen after it has been soaked and cleaned. If satisfaction is not met on the cleanliness and appearance of the coin, he may add baking soda to neutralize the MS70 and soak it in warm water. After he is through with the soaking, he may dry the coin using a Blue Ribbon coin cleaner and preservative; he may apply a coat and dry it for a couple of days then wipe the damp parts with soft cotton balls and place it on a small cardboard with a space on the center. 1.The coin should be protected from exposure to any kind of elements. It is also important not to scratch the coins; they should be handled with care to avoid scratches on the surface of the coins. 2.It is safe to store the coins in plastic cases or pockets that are made specifically for coin collections and sets. These cases and pockets can protect the coins from dirt and scratches. 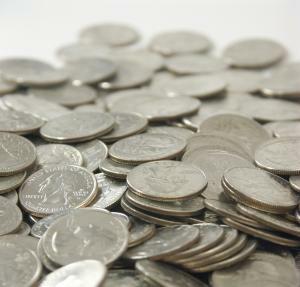 3.Coins should be cleaned properly using vinegar, lemon juice, ammonia or rubbing alcohol. 4.If there is unwanted dirt that is hard to remove on the surface, chemical products for cleaning like Tarnex may be used. This option may be used if vinegar and lemon juice were not able to remove the dirt. Many coin collectors believe that a person should never ever clean their collection because they believe that any product that is applied to the coin will affect the surface. A person should know how to preserve their collection and avoid dirt from touching the coins.